The detailed planning and development work for every Catalyst Energy oil and gas program is centered on the state and federal regulations for the protection of our environment. We welcome and encourage regulatory agencies to participate in the planning phase of our projects. This cooperation has proven to be effective in minimizing environmental impacts. In fact, on numerous occasions, we have opted to avoid drilling in areas of high sensitivity. 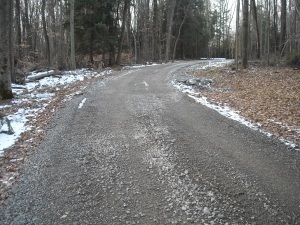 We work closely with the United States Forest Service, the Pennsylvania Department of Environmental Protection (PADEP), the Army Corps of Engineers and local agencies within the County conservation district offices when designing the construction of our projects. The PADEP has developed “Best Management Practices” (BMPs) for construction activities within the State of Pennsylvania. We incorporate those BMPs into our operations, constructing access roads and production sites efficiently with longevity in mind. Generally, the road base is constructed with one foot of rock and, when needed, the road is underlain with construction fabric. 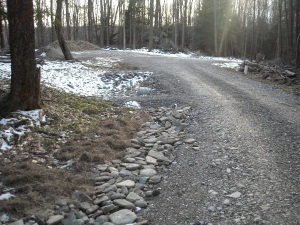 The temporarily disturbed areas are mulched and seeded to restore the environment. Road layout is carefully considered and planned to keep grades low, and we use existing roads wherever possible to lessen the footprint of new construction. These practices help reduce and manage storm water runoff. We employ additional procedures to further protect surface waters from sediment. We also tend to curtail construction operations during times of high rainfall or snow melt. Leaving healthy, stable, green forests and fields is the Catalyst Energy environmental goal. We consider our record to be outstanding in this regard.